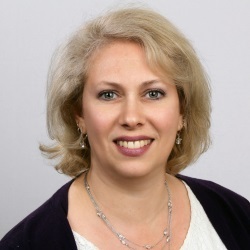 Dr. Josie Badger received her Bachelor’s degree in Disability Law and Advocacy from Geneva College, a Master’s in Rehabilitation Counseling from the University of Pittsburgh, and a Doctorate in Healthcare Ethics from Duquesne University. In 2014, Josie founded J Badger Consulting Inc., where she provides consulting services for organizations, including the PEAL Center, on transition and leadership development. She is the Co-Director of the national RSA-Parent Training and Information Center (PTI) technical assistance center (RAISE). She is also the campaign manager of the #IWantToWork Campaign to improve the employment of people with disabilities. She serves as a board member of the United Way of Southwestern PA and FISA. In 2012, Dr. Badger was crowned Ms. Wheelchair America. Previously, she was an author for the Center for Disease Control and Prevention for the book Launching into Adulthood, and she served as president of the National Youth Leadership Network and the Pennsylvania Youth Leadership Network (PYLN). Myriam Alizo has over 17 years of experience helping parents navigate the special education system. She worked for NJ Parent to Parent and for Parent to Parent of Miami (FL) before moving to NJ, where she now works for SPAN, the Parent Training and Information Center of New Jersey, helping to start and run parent groups and conducting bilingual special education trainings. At SPAN, she also works for the Center for Parent Information and Resources (CPIR), the national organization that provides information and products to the network of Parent Centers. Myriam is currently a member of the NJ Special Education Advisory Council (NJSEAC) and the advisory board for the National Center for Dispute Resolution in Special Education (CADRE); she was a member of the National Center for Learning Disabilities’ (NCLD) Parent Leader Team and is a consultant for Understood.org. Myriam also coordinated the English-Spanish Glossary for OSEP. Myriam has a bachelor’s degree in electronic engineering from the Simón Bolívar University in Caracas, Venezuela. Myriam is the proud mother of two young adults with amazing talents. Myriam enjoys cooking, practicing yoga and working out; and recently became a Zumba instructor. Myriam lives in New Jersey with her two daughters and her husband. Donna has over 10 years of experience at SPAN Parent Advocacy Network, where she currently works on four projects. She is the Central Regional Associate for NJ Statewide Parent to Parent covering five counties (Ocean, Monmouth, Burlington, Mercer, and Middlesex), and she works on the Military Family Support 360 project as a Navigator at the Joint Base McGuire-Dix-Lakehurst in Burlington County, NJ. She also covers Ocean County as SPAN’s Family Resource Specialist and is housed at the Ocean County Family Support Organization in Toms River, NJ. Donna became the new RAISE Product & Resource Coordinator in Fall 2017. Previously, she worked for 18 years at Block Drug Company, a pharmaceutical company in Jersey City, NJ, in the Operations and Travel Departments. Donna is a proud mom of two young adult daughters who amaze her every day. She enjoys her five pets—two dogs and three cats—the beach is her happy place, and she loves to travel. Donna lives in Monmouth County, NJ, with her two daughters and her husband of 34 years. Maria has been with the SPAN Parent Advocacy Network since 1990. During that time, she has worked on almost every project that has been or is under the SPAN umbrella. Maria is currently an integral part of the RAISE and CPIR projects. She helps manage webinars and other presentations, events including conferences and summits, and the creation and distribution of the wide variety of materials RAISE, CPIR, and SPAN produce. A devoted mother and grandmother, Maria enjoys visiting her large family and various loved ones throughout the country and Puerto Rico whenever she can find the time! Jessica Wilson is the Director of Communication & Dissemination for SPAN’s two national projects—RAISE and the Center for Parent Information and Resources (CPIR)—in addition to other state and regional projects as needed. She has backgrounds in publishing as a copy editor, proofreader, and production editor for elementary education, map-making, Photonics, trade magazines, and more; higher ed international marketing and recruitment; and website design and management. Certified to teach Language Arts, ESL, and Adult Education, Jessica was an instructor of ESL for university students and business professionals before joining SPAN. Her favorite creation was a literature course based on Daniel Keyes’ Flowers for Algernon, Vonnegut’s “Harrison Bergeron,” and the movie Gattaca that questioned society’s perceptions of intellectual disability and intelligence, multiple intelligences, equality, and the quandary of eugenics and gene manipulation. Certified for “Intercultural Communication” and “Diversity and Inclusion,” she has presented on topics ranging from professional development for language teachers to workshops on business writing, best practices in social media, disproportionality and multiple intelligences, and much more. Jessica’s greatest pleasure in life is her gorgeous son, whom she wrote about in a blog published by the Department of Education for Down Syndrome Awareness Month.